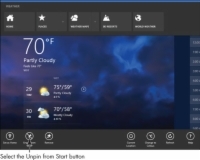 The Windows 8.1 Weather app not only provides your local forecast, but enables you to keep track of the weather in other locations. Want to know whether your grandchild is camping in the rain? Add the camp’s location to the Weather app and keep track. Planning a trip? Find out whether you need to pack a parka by adding your travel destinations. 1From the Start screen, open the Weather app. With the Weather app on the screen, display the app bar. The Weather app bar appears at the top and bottom of the screen. 2Select the Places button at the top of the screen. The Places screen appears. Unless you’re lucky enough to live in San Francisco, your screen will show a different live tile. 3Select the Add Place tile, which looks like a plus in a circle. The Enter location screen appears. 4Type a location name, such as a city, in the box under Enter Location. As you type, matching location names appear below the box. If you see the location you want, select that name to add a tile for that location to the Places screen. No need to click the Add button, unless your location does not appear automatically. You can add other locations by repeating Steps 3 and 4. 5Select the tile for the location you added. The Weather app displays full information for the location you selected. You can switch between multiple locations by using the Places button on the app bar. 6Return to the Start screen. Your new location does not appear — yet. 7Select the Weather tile, and your added location appears. Display the app bar. In addition to the app bar at the top of the screen, an app bar for the selected location appears at the bottom of the screen. 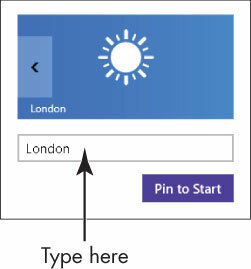 8Select the Pin to Start button at the bottom of the screen to add a tile for the current location to the Start screen. (If you don’t see Pin to Start, repeat Steps 2–5 to add a location.) You can add a note to the tile by entering text in the box where the location name appears. (For example, you might type a person’s name if you display the weather where that person lives.) Then select the Pin to Start button. 9Return to the Start screen. 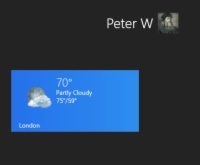 The original Weather tile appears, as well as the new tile. 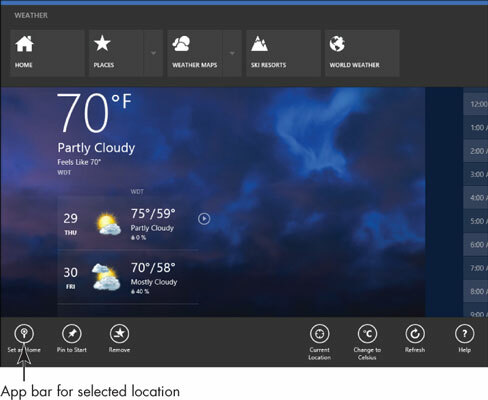 You may have to scroll to the right with the mouse or by dragging your finger right to left to see the new Weather tile. 10Select the new Weather tile to open the app with that location. Display the app bar for Weather. 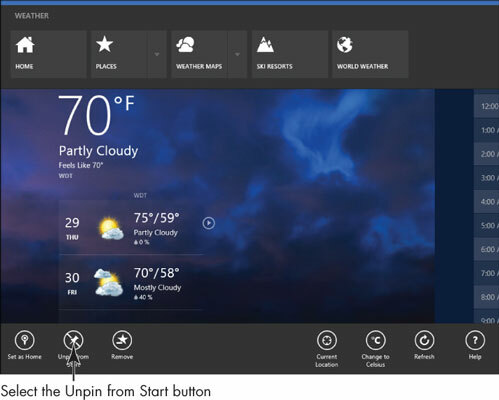 Select the Unpin from Start button at the bottom of the screen to remove from the Start screen the tile for the current location. Select Unpin from Start in the pop-up menu. If Unpin from Start doesn’t appear, repeat Step 8. 11Return to the Start screen. The location you unpinned no longer appears. 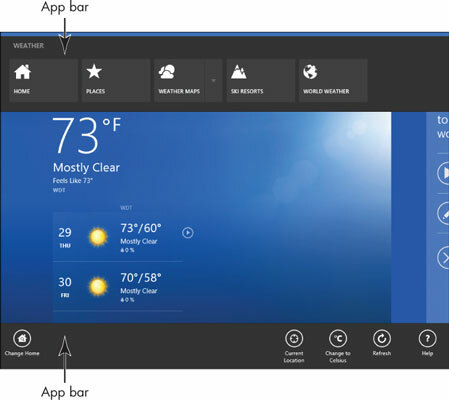 Add locations for friends, family, and travel destinations and pin these new locations to the Start screen. In the Weather app, several other buttons may appear.